Renowned mountaineer Chhanda Gayen and two of her accompanying sherpas, who were attempting to scale the 8,505-metre-high Kanchenjunga West, known as Yalung Kang in Nepal, are reported to be missing. Gayen, best known for being the first civilian women from West Bengal to scale Mount Everest, went missing Tuesday after being caught in an avalanche, as per the information received here. She annexed the 8,585-metre high Kanchenjunga Main, the third tallest peak, on May 18 along with three other climbers from Kolkata — Tusi Das, Dipankar Ghosh and Rajib Bhattacharjee. According to reports available Tusi, Rajiv and Dipankar decided to return to the base camp after the summit while Chhanda along with two sherpas — Dawa Wangchu and Mingma Temba — went on to climb the nearby Yalung Kang, also known as Kanchenjuga West. Chhanda was with Sherpas Dewa Wangchu and Migma Temba when an avalanche struck close to the summit late Tuesday afternoon. There has been no contact with them ever since. Nepal authorities launched a heli-search on Wednesday and found traces of an avalanche at her last known location. But there was no trace of her or the Sherpas. Another search will be launched on Thursday. 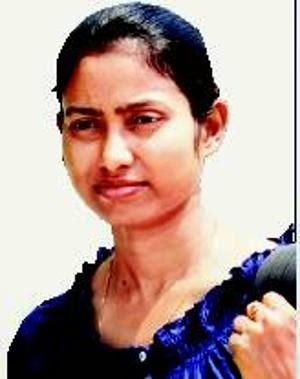 Pusi Das, a climber from Kolkata, who had accompanied Chhanda to Mt Everest, also summitted Kanchenjunga just after her. Together with Everesters Rajib Bhjattacharya and Dipankar Ghosh, they came down to summit camp. This is where Chhanda parted company and proceeded towards Mt Yalung Kang, also known as Kanchenjunga West. The last contact with Chhanda was around 3pm on Tuesday when one of her Sherpas reported that they were very close to the summit of Mt Yalung Kang. The avalanche hit soon after this.